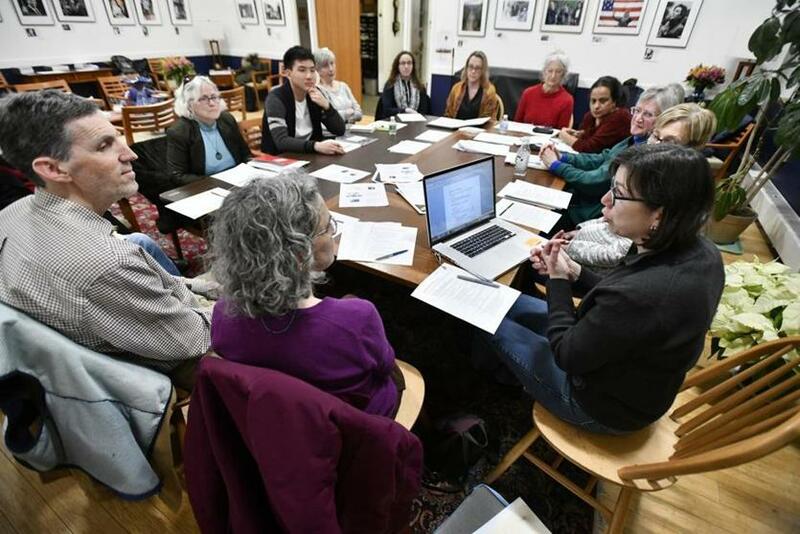 Volunteers try to find housing and employment opportunities for asylum seekers in Arlington, Cambridge, and Somerville, Mass. Refugees have government-approved supports. Asylum seekers have nothing. In the last couple years, since I’ve been volunteering in ESL classes, I have learned there is a differences between refugees, who arrive in this country fully vetted and eligible for official support, and asylum seekers. Asylum seekers are generally fleeing persecution and danger. One woman I heard about knew that the government in her country intended to arrest her after disappearing her husband for his vocal opposition. When she arrived here, she had nothing. Numerous groups of US citizens are now organizing to help such people. “Asylum seekers come to the United States to escape issues such as war, persecution, or domestic violence. Once here, they must apply for asylum and then wait at least five months to apply for a work permit. “For many of the volunteers, the connections made with asylum seekers are long-lasting. “The cluster helps the asylum seekers in seemingly small ways as well. After finding out that one of their guests was uncomfortable taking the bus late at night, volunteers took turns driving her home from appointments. “Fowkes and his wife, who live in Medford, have been members of First Parish for more than 20 years. He recently retired and felt he had more time to invest in charity work. The experience of housing an asylum seeker has also had a positive impact on him. “The couple took in an asylum seeker who had been living on the street. The guest has been living with the pair for more than a year now. The three have dinner together every night, and the couple has introduced him to his family and friends. Fowkes said they have formed a deep connection. Excellent story, C. Thanks very much for posting. I didn’t realize things were that much tougher for asylum seekers. So good to hear of these efforts to help! I’m still learning about immigration. So many aspects aren’t widely known. Most people don’t know, for example, that those who get refugee status are heavily vetted. The current gov’t had no need for what they call “extreme vetting.” You can’t get much more extreme than it already was.